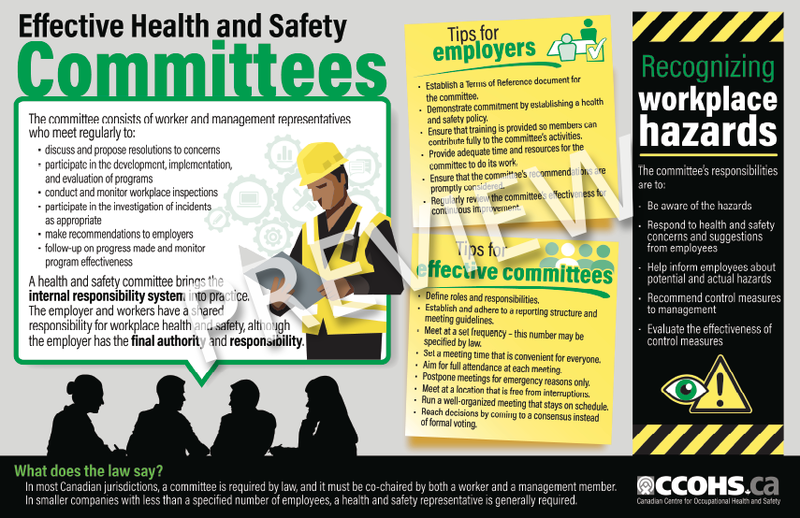 A health and safety committee, comprised of worker and management representatives who meet regularly, brings the internal responsibility system into practice. This system recognizes that the employer and workers have a shared responsibility for workplace health and safety, with the employer having the final authority and responsibility. In most Canadian jurisdictions a health and safety committee is required by law. 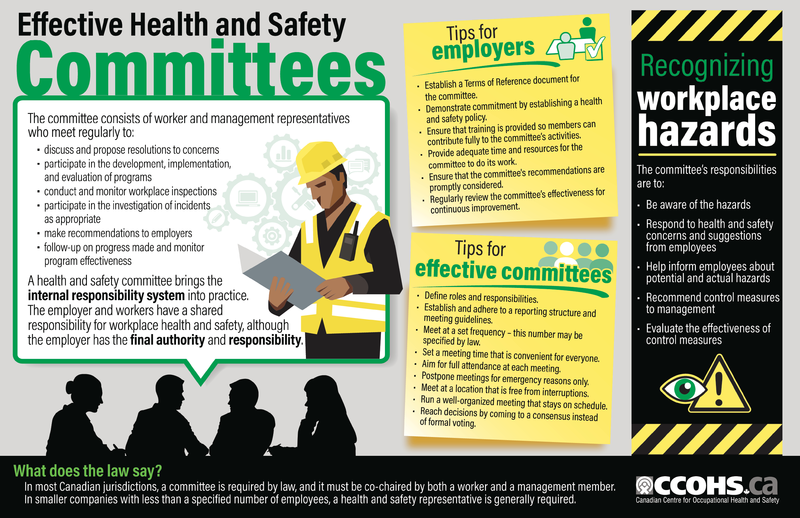 This infographic outlines requirements and good practices for an effective health and safety committee, from defining roles and responsibilities to providing training and resources to recognizing and addressing workplace hazards.